Spoiler alert: it never looks like this. For five years now, I’ve started November ever the optimist: convinced that this is the year I’ll valiantly conquer NaNoWriMo — a.k.a. National Novel Writing Month — and end up with a novel that will one day get published and sell so many copies that it will wildly transcend the writerly dreams I had as a 10-year-old. Each year, I triumph over the first day thinking that this time, I’ll not only reach the 50,000-word mark (for context, that’s roughly the length of Slaughterhouse-Five, or The Notebook, whichever you relate to more), I’ll vastly exceed that goal because this is the story I was born to tell. These are worthy ambitions, although, three of those years I gave up within the first few days. And my last two attempts, while successful, were not your glamorous, sitting-at-a-cafe-while-sipping-tea-and-typing-with-abandon type of experience. No, it was more like, stuffing-my-face-with-cookies-while-trying-to-stay-awake-and-writing-sentences-that-don’t-actually-make-sense. This time around, I started gathering my thoughts about NaNoWriMo while writing, partly so I could remind myself that it will never be as easy as I hope it will be, and partly to help motivate anyone else who wants to give it a try. 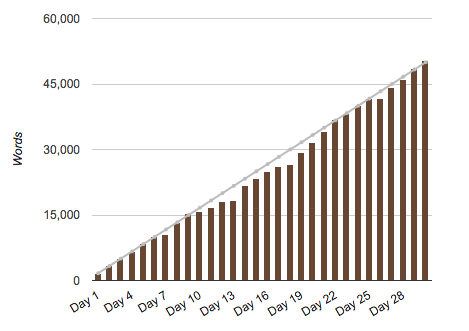 The result: 6 personal lessons I’ve learned while completing my second NaNoWriMo. It’s ok to throw the plans out the window. In preparation for November over the past five years, I’ve researched and outlined and set up elaborate Pinterest boards for inspiration. I’ve locked myself out of social media accounts, and established personal reward systems (e.g. “you can’t watch an episode of Star Trek until you hit your word count”). I’ve tried a slew of strategies only to realize that I never end up following them. So, this time around, I went in telling myself that if I couldn’t stick to a method, it’s ok to forget about it. It’s not worth feeling lousy that I wanted to check Facebook while in a rut. And actually, frequent breaks often helped to refresh my mind and kept me going for longer periods of time. Nothing against planning ahead (I’m known to be an obsessive planner when it comes to most things), but I’ve been pleasantly surprised that writing a novel in 30 days can be easier once you disregard all the plans and just write. You WILL get behind. Don’t stress about it. Writing 1,667 new words a day is really hard to keep up. I’d blame work and travel, but honestly it just came down to the days where I’d get home and want nothing more to do than watch YouTube videos and eat Milanos. Some days are off days. And on those days, I accepted that I wasn’t going to get all my words in. It just meant that the next day (or weekend…or week) I’d have to work extra hard. Know how to catch back up. This year, I learned that I write best in the morning. Halfway through the month I was in a total slump, consistently behind and unable to catch up. By the time I got home, I was always exhausted, and no matter how hard I tried, could barely even write 500 words. So I started getting up an hour early and blasting through a few pages of writing each morning. If I hadn’t done this, I’m pretty sure I never would’ve had a chance at finishing. 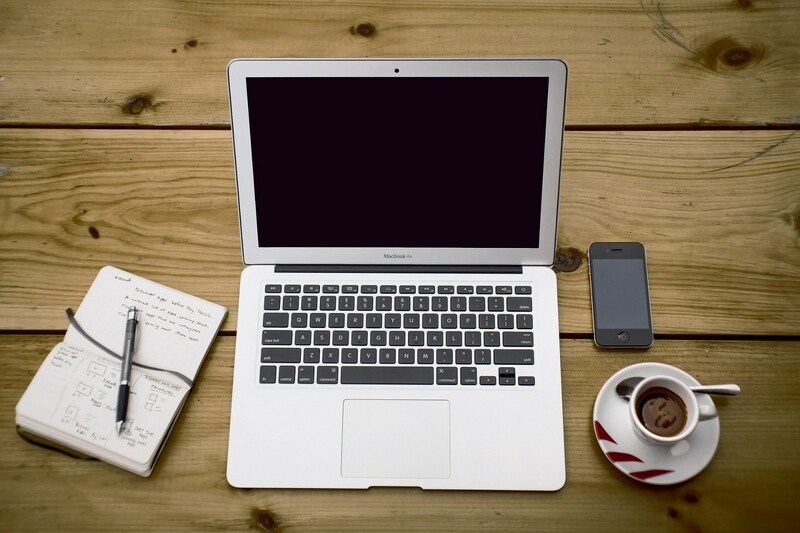 Becoming a hermit is not always the most productive way to write. Previously, I was adamant about staying off social media during November, holing up in a cafe or library, and focusing only on my novel. Except when I did that, I quickly became zapped of ideas. Because I wasn’t experiencing, well, anything else. This year, I found myself taking spontaneous trips downtown on the bus, going to bar trivia knowing that I’d get behind on my word count, and watching plenty of TV…because doing those things meant I could usually find something to incorporate into my story. Ideas don’t come very easily for me: I need to walk around and observe things that are going on, and then steal those everyday scenes and rewrite them with my characters. Basically, I’m a thief, but Jim Jarmusch says it’s ok, and if it makes the story more interesting, why not? I don’t know how people used to sit at a typewriter and just spew out a story from beginning to end. In the days of longer attention spans, maybe that would’ve been easier, but I’m the exact opposite: jumping between scenes, characters, whatever I feel like tackling. And when you’re working with a 140-page Google Doc, it starts getting real clunky and inefficient. So thanks to a recommendation from my friend Kyle, I downloaded Ulysses (they were offering the product free for all NaNoWriMo writers in November! ), which makes writing SO MUCH EASIER. I’m able to navigate between chapters and rearrange scenes super smoothly, and love the keyboard shortcuts for formatting. I’m strongly considering keeping my Ulysses account so I can keep working on my novel in the coming months. Also, I did a lot of ad-hoc researching while writing my NaNoWriMo this year. Google was my best friend. I could always write. I got through school thinking I would be a writer simply because I could answer prompts, string words together in a cohesive way, and get praised for it. Following the rules is easy. Breaking them is what’s hard. This is something I’m still working on. I’m definitely not there yet — I can’t write something that’ll dazzle or astound people. My dialogue is predictable and I’m too used to informing the reader rather than letting them figure things out on their own. I’m too used to following the rules. But the great thing about NaNoWriMo is that you get to experiment, and not have to worry about conventional writing techniques or SEO or what random readers on the internet will think. You can do whatever you want, and then come back and redo the whole thing if that’s what your heart desires. I know that with a lot of revising and care, these stories could someday be not just readable, but heck, enjoyable (maybe to someone other than just me?!). You can do this, as long as you just keep writing. This is where I write about things that aren't rockstars or TV shows.